It’s almost time for the final law school exam push, so I’ll make this brief. What are you going to do these last few weeks, to ensure you’re ready to go on exam day? Try to memorize a bunch of cases? Cram a commercial outline into your head? Look over a practice answer or two? Give up and go to sleep? Any of these could be useful, but let’s talk big picture — What’s a winning overall strategy? I think law students (particularly 1Ls) get confused for one key reason — they confuse tactics and strategies. 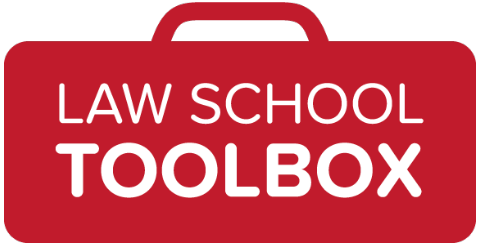 There’s a ton of law school advice out there, most of it tactical. Tactics are things like “here’s how you should brief cases” and “here’s how you have to outline.” That stuff is valuable, and presumably whatever tactic we’re talking about worked for someone, but that doesn’t mean it’s going to work for you, absent a big-picture strategy. 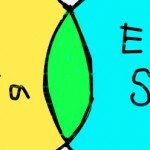 What does this image mean? It’s pretty simple. 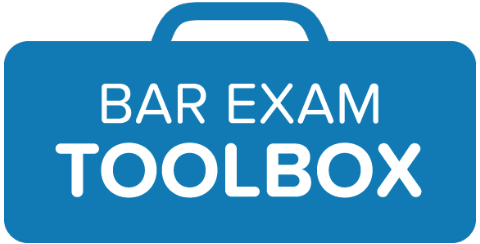 To do well on a law school exam, you need two things: Sufficient knowledge of the relevant legal trivia, and solid exam-taking skills. Notice I said “sufficient” knowledge of legal trivia — not perfect knowledge. 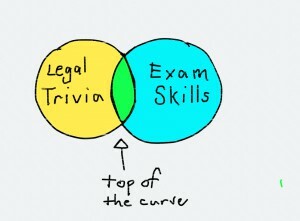 Average (and below average) law students spend all of their time acquiring as much legal trivia as possible. The acquisition of such knowledge is a necessary — but not a sufficient — condition for exam success. You must also develop (or happen to magically possess, if you’re super lucky) strong exam-taking skills. What does this mean? It means you MUST practice applying what you’re learning. That’s how you develop the writing and analysis skills under pressure that you need to be at the top of the curve. There’s really no shortcut. Frankly, I know most of you will ignore this advice, despite your best intentions. But — for the few who will listen — keep the image above in mind when you’re creating your exam prep schedule. Block out significant time in these last few weeks to practice writing, test your outlines, and get feedback. And be sure you’re on The Girl’s Guide email list, so you’ll get anything new that we publish about exams! You can join here. 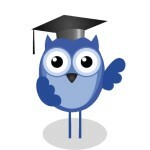 What do you need help on to be ready for your exams? Let me know in the comments!